The American Jewish community on both sides of the political coin reacts to the victory of Benjamin Netanyahu and the Likud in Israel’s national elections on April 9. 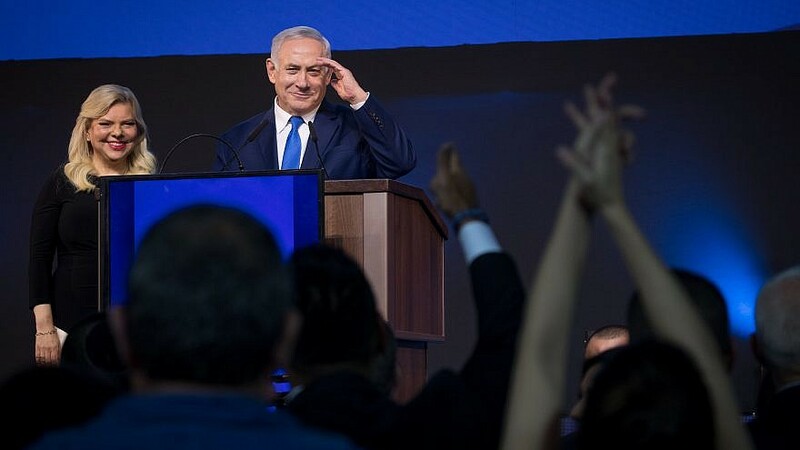 Israeli Prime Minister Benjamin Netanyahu, with his wife, Sara, addresses supporters as the results in Israel’s national elections are announced at party headquarters in Tel Aviv on April 9, 2019. Photo by Yonatan Sindel/Flash90. 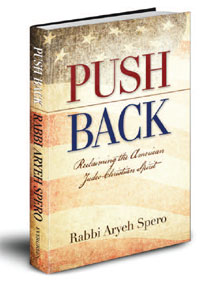 (April 12, 2019 / JNS) Now that the dust is starting to settle after Israel’s national elections on Tuesday—followed immediately afterwards with the emotional upheaval related to Israel’s “Beresheet” spacecraft attempting to land on the moon on Thursday—the Jewish community in the United States is reacting to the results. Jewish and pro-Israel groups expressed mixed reactions to the re-election of Israeli Prime Minister Benjamin Netanyahu. The responses highlighted the accomplishments that Jewish groups cheered and jeered over the past two years of the Trump administration. These include the much stronger relations between America and Israel that have led to clear-cut diplomatic gains, including U.S. President Donald Trump’s declaring Jerusalem the official capital of Israel in December 2017; moving the U.S. embassy from Tel Aviv to Jerusalem in May 2018; withdrawing from the 2015 nuclear deal with Iran that same month; increasing sanctions on Iran in August and November 2018; approving Israel’s sovereignty of the Golan Heights shortly; labeling Iran’s Islamic Revolutionary Guard Corps a terror group; and defunding most taxpayer assistance to the Palestinian Authority for rewarding terrorists and their families, among other measures.